As the night’s are drawing in, it seems a perfect time to focus on the work of some innovative lighting designers. 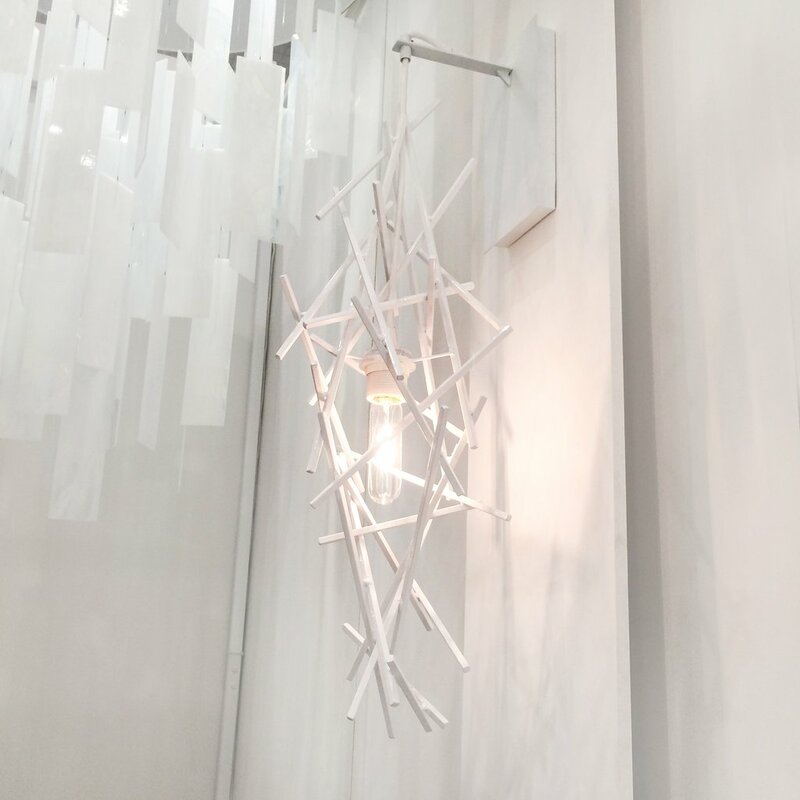 I was able to take a personal look at some of their work, and trends to look out for, at the ICFF contemporary design showcase event earlier this year. This combination of walnut sits well with the unique excavation technique employed by New York based In.Sek. 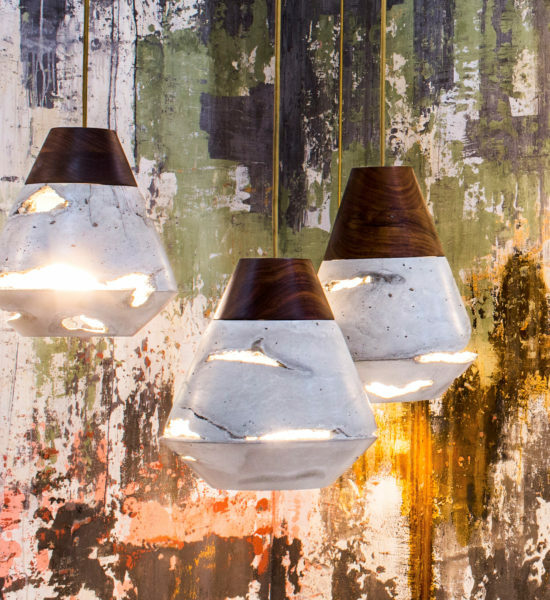 Designer Ashira Isreal adds quartz crystal to specially blended concrete, creating a torn window effect for the shade, which in turn casts a sprialing light and soft glow across any space. 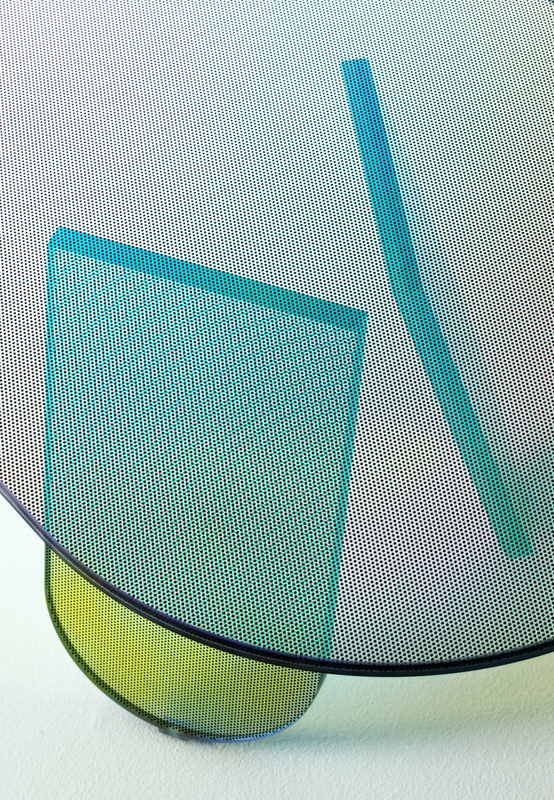 Created from painted stainless steel mesh, the apparent simplicity of these Arturo Alvarez designed lamps belies their delicate crafting. 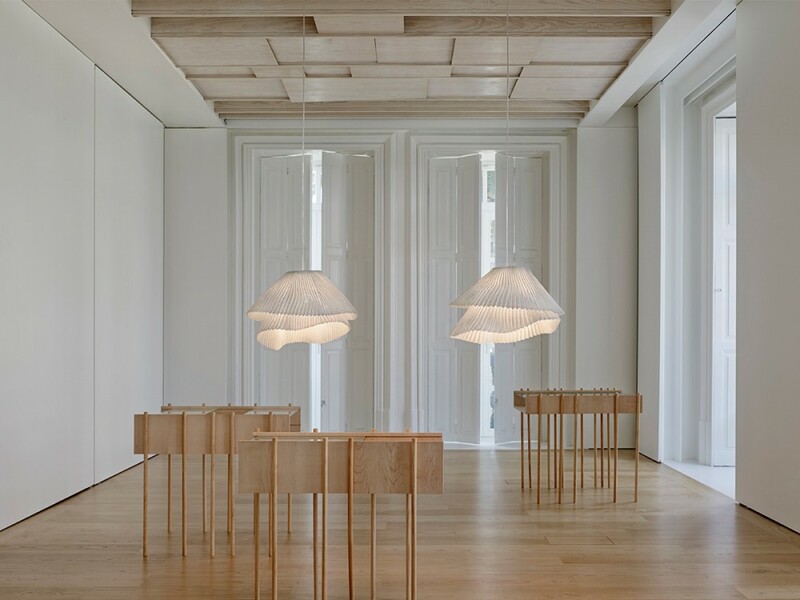 Fine pleats form two overlapped layers creating two different lamps full of dynamism – two lively shapes born from one, creating the same movement yet at a different tempo. 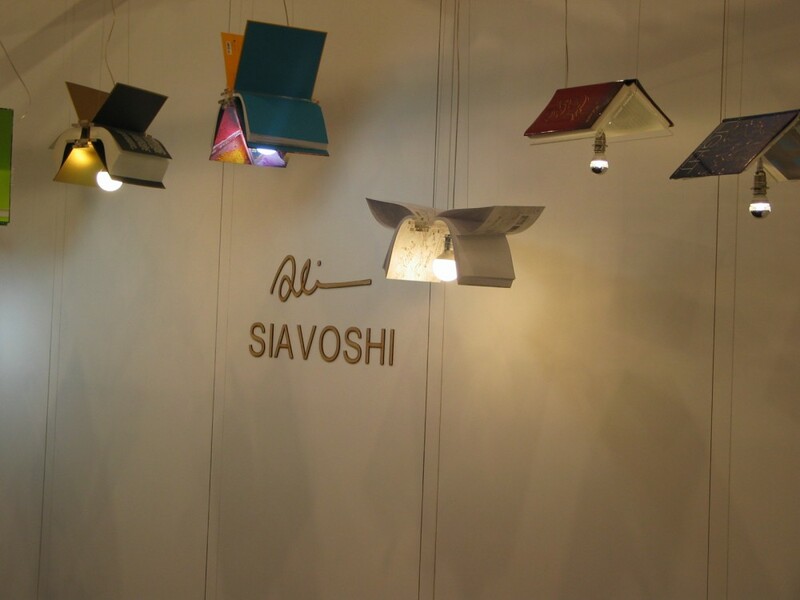 I particularly like how Iranian-born designer Ali Siavoshi works with everyday objects, transforming them into light fixtures, whilst injecting a sense of humour into these stylish and innovative displays. 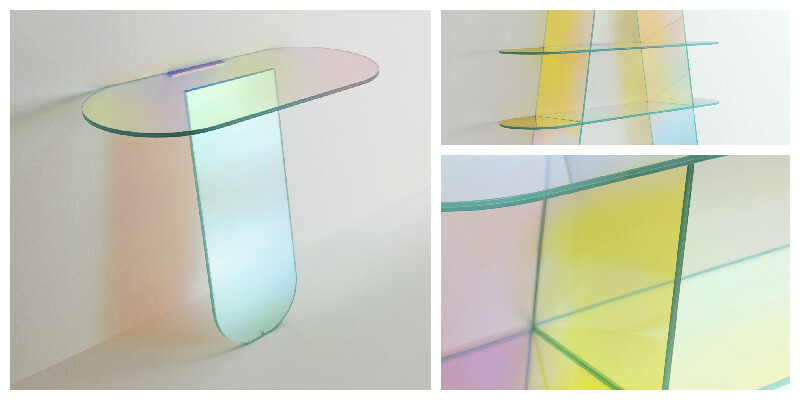 Another designer who creates extraordinary pieces of art and lighting from ordinary “up-cycled” everyday glass bottles, is Altanta based Kathleen Plate. 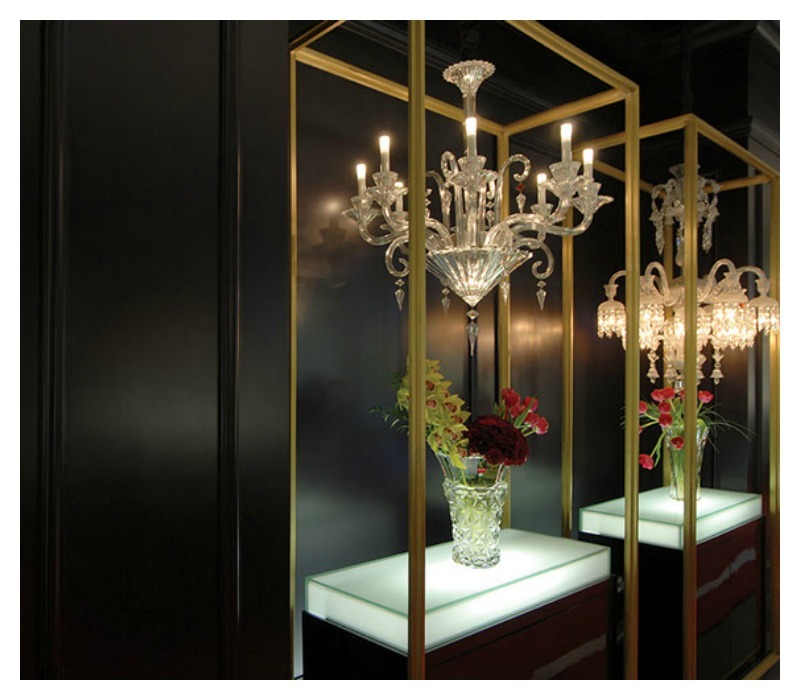 Her innovative techniques and sophisticated designs sit well within contemporary and stylish restaurant and hotel groups. Zac Ridgely is a trained artist who uses his talent in the medium of light, son of a famed Canadian architect he quickly learned how to navigate his way through architectural drawings. 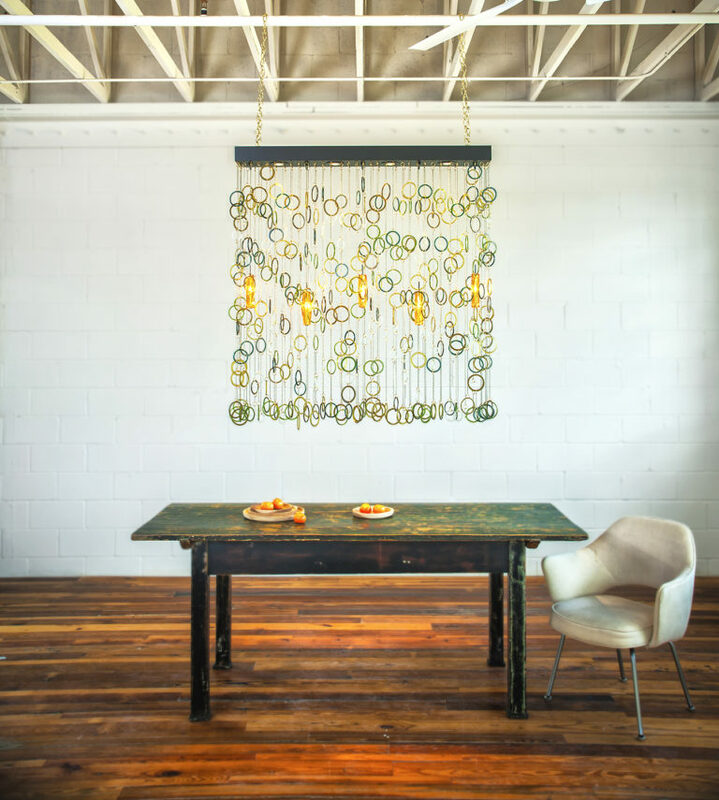 The CRISS-CROSS series was created from a genuine desire to blend art with lighting, and this sculptural piece of cut steel rod is carefully arranged and welded in a seemingly random pattern. 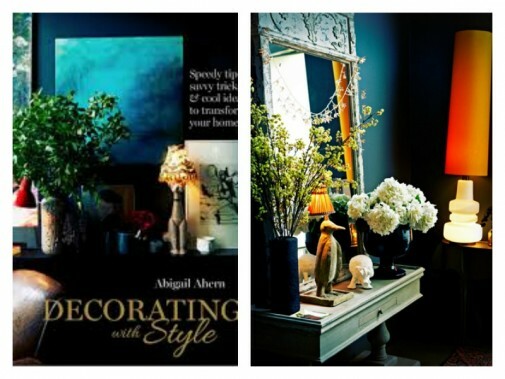 I hope these inspirational creations will give you some ideas for transforming your living or working spaces. 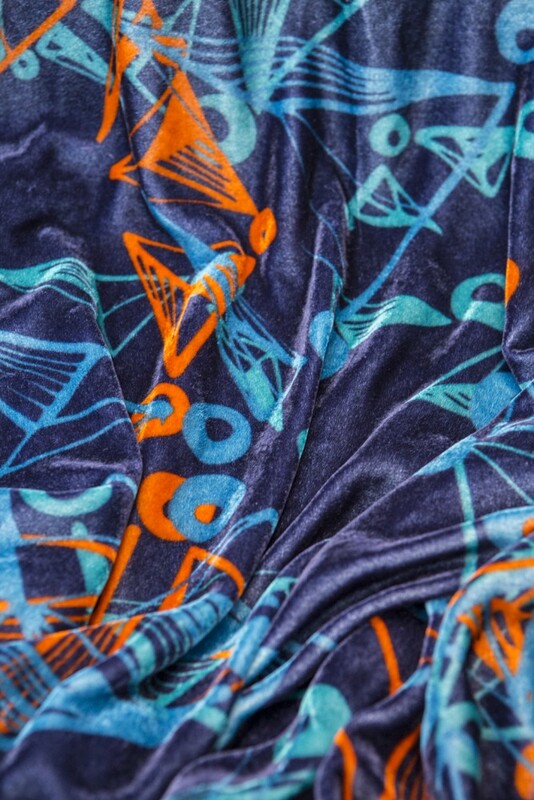 Moody Monday offers a bespoke design service to complement any projects you might be considering, and I’d be happy to discuss these further, Eliza. 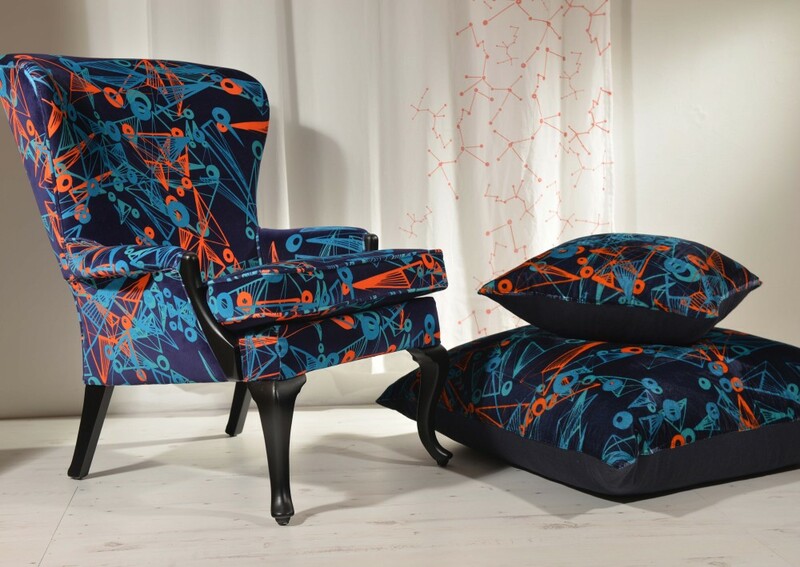 If you have a keen interest in interior design, you would have seen the Pantone Colour of the year. It was announced last year. 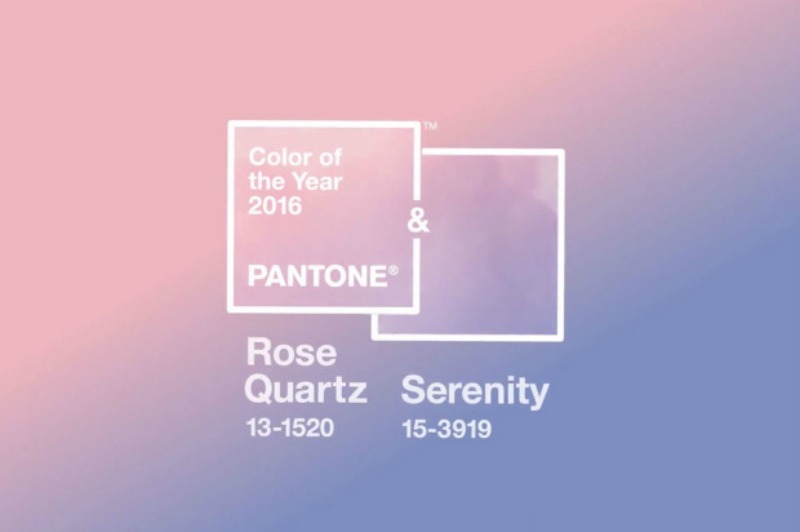 For the first time in Pantone’s history, the team decided on two colours – Rose Quartz and Serenity Blue. What a luxury. Instead of popularising one colour, they chose to present them as a combination. 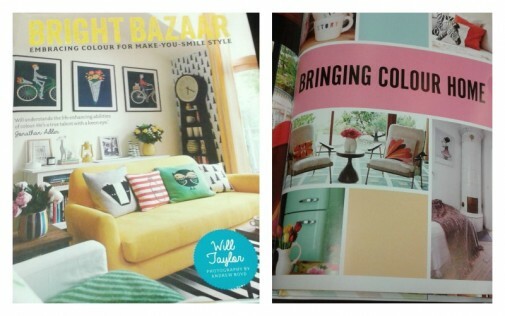 These colours are reminiscent of baby gender reveal parties popular these days. They are soft and very easy on the eye. When paired together, they bring a sense of soothing freshness to an interior space. 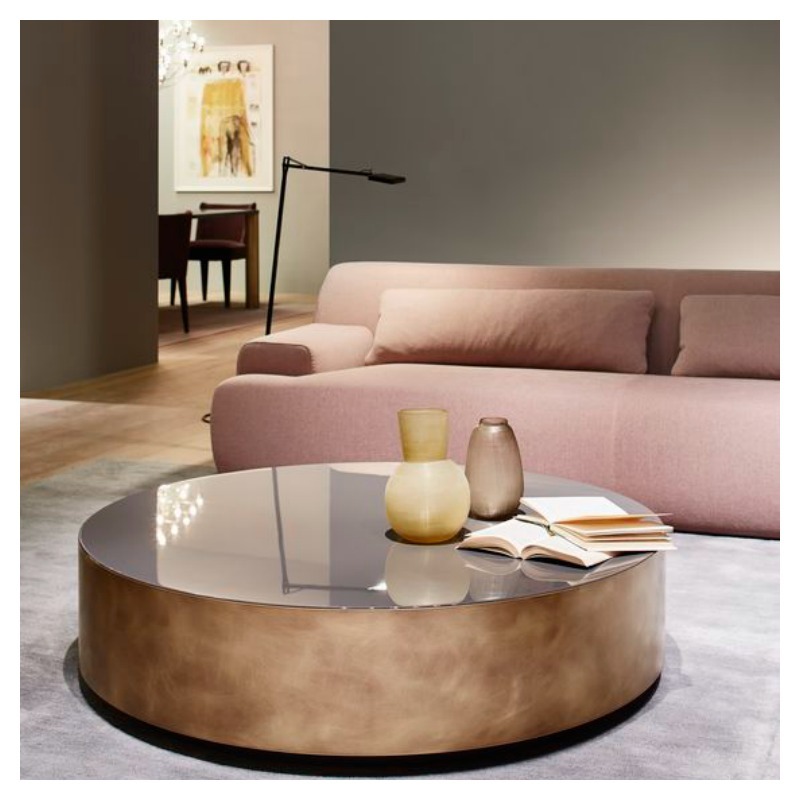 Today’s feature looks at one half of this beautiful Pantone colour duo – Rose Quartz. 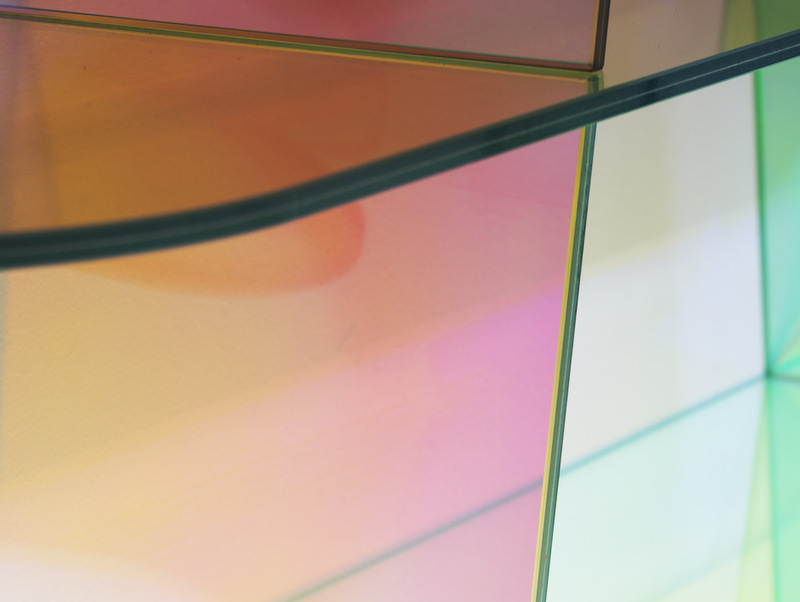 Finding the right colours to allow this soft pink colour shine through is important. 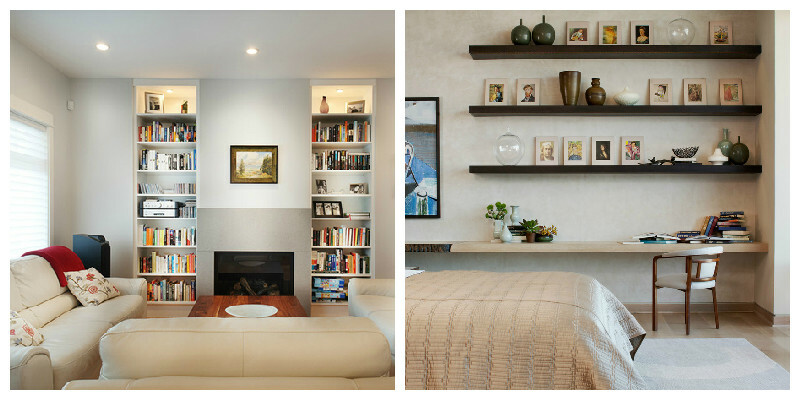 In today’s feature, we share two applications in a living room setting. For a bright and airy look, paint your walls in white or off-white. 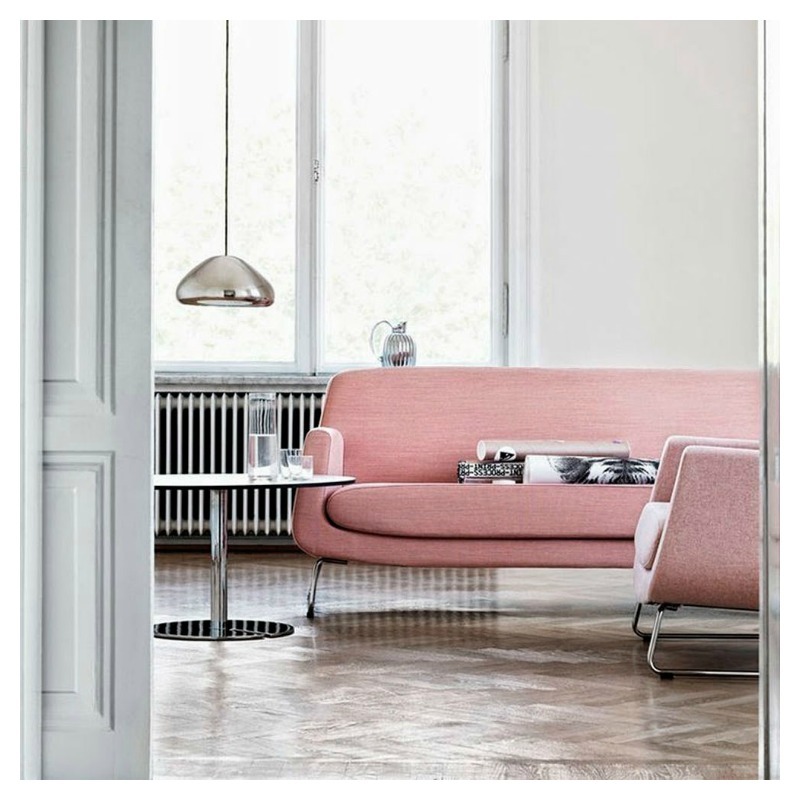 Pared back with minimal metallic accessories, the pink sofa pops is the centre of attention in this living room. 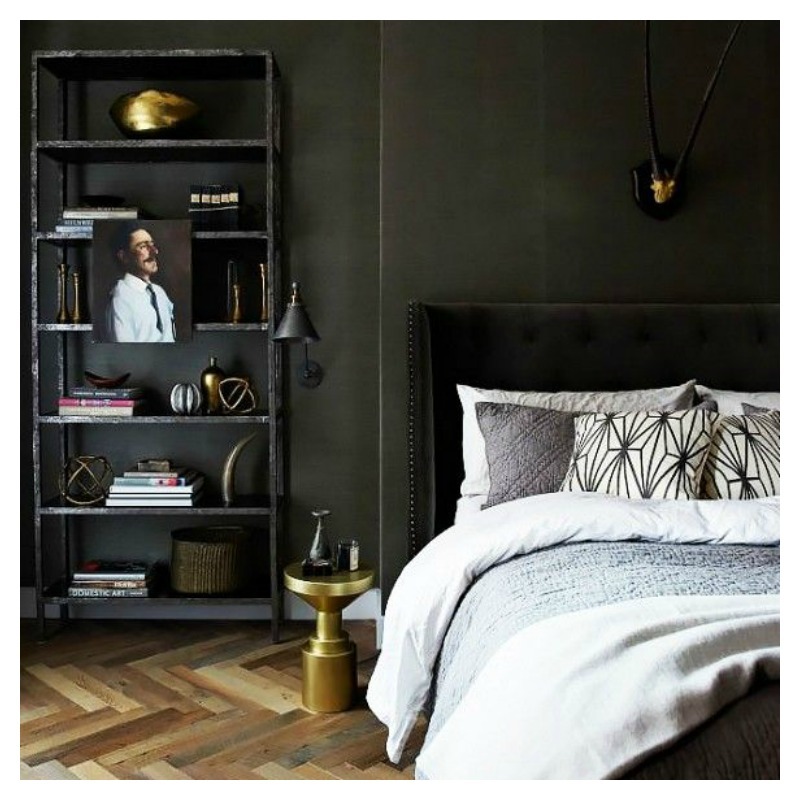 The herringbone patterned flooring adds that extra touch of texture and interest to the room. 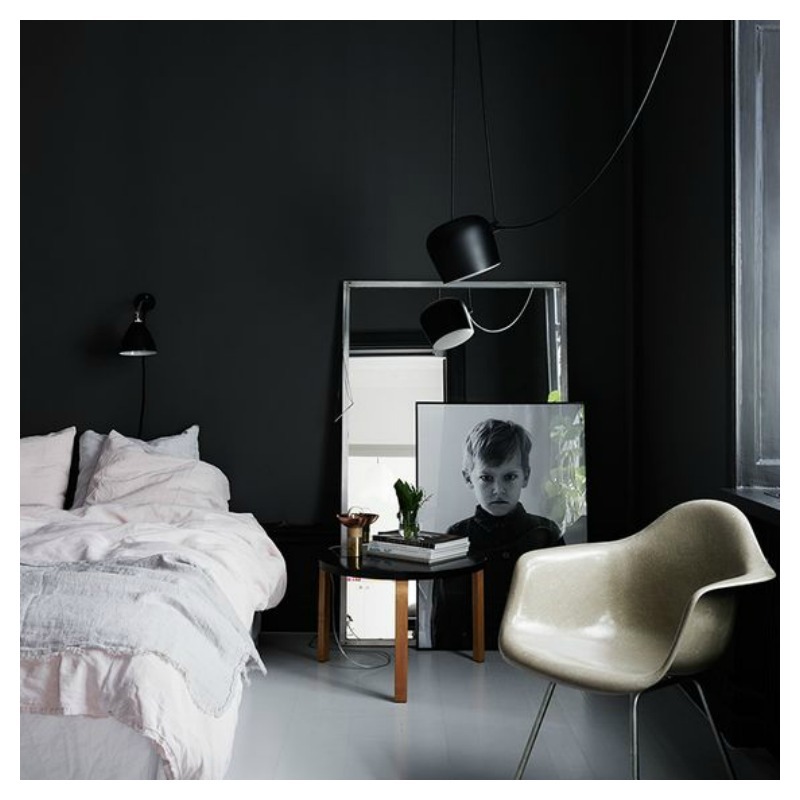 For a look that is calm and sultry but isn’t too feminine, start off with darker walls. To add to the warm scheme, team with rich browns in the other furniture pieces and accessories. It is both simple and appealing. If you’ve never decorated with this shade of pink before, this is your time to give it a try. Bedrooms should be relaxing and tranquil. The colour scheme has a big part to play to create this atmosphere. We struggle to find any other colour that does this better than black. 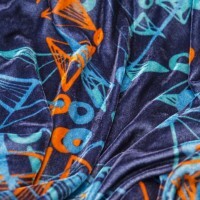 It is a versatile colour which can be calming, alluring, warm and fresh at the same time. These bedrooms will inspire you to get some dark tones in your bedroom. 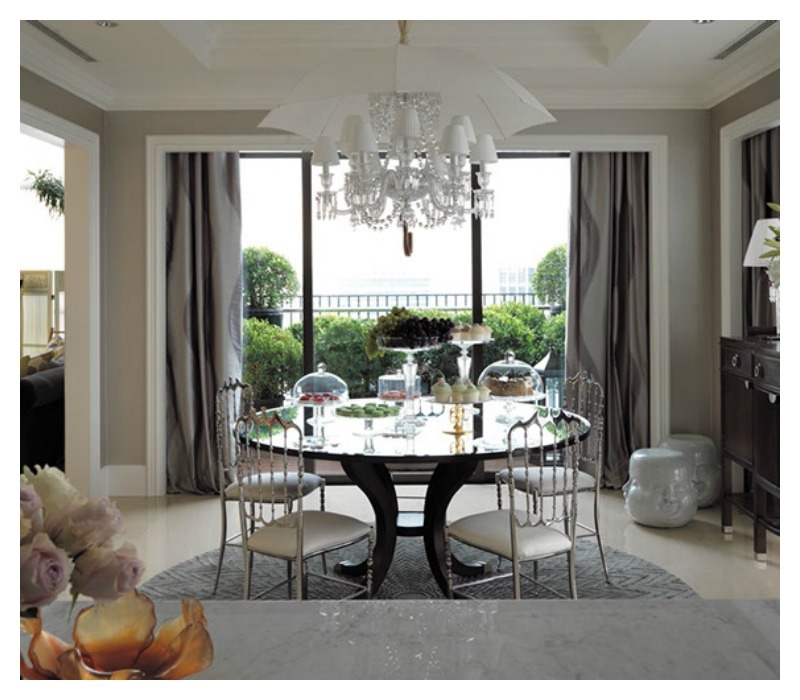 This room designed by Raphael Langevin has a delicate balance of masculine and feminine features. The lighting scheme adds unexpected interest and drama. 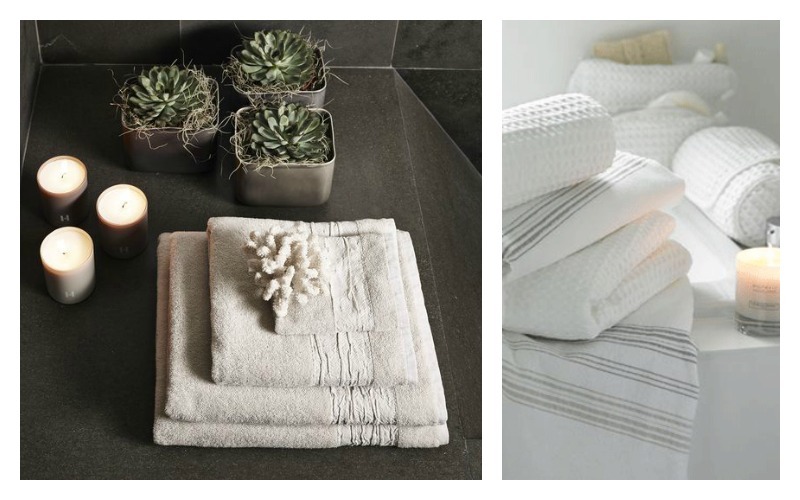 The combination of textiles in the different shades of grey also add welcome texture. 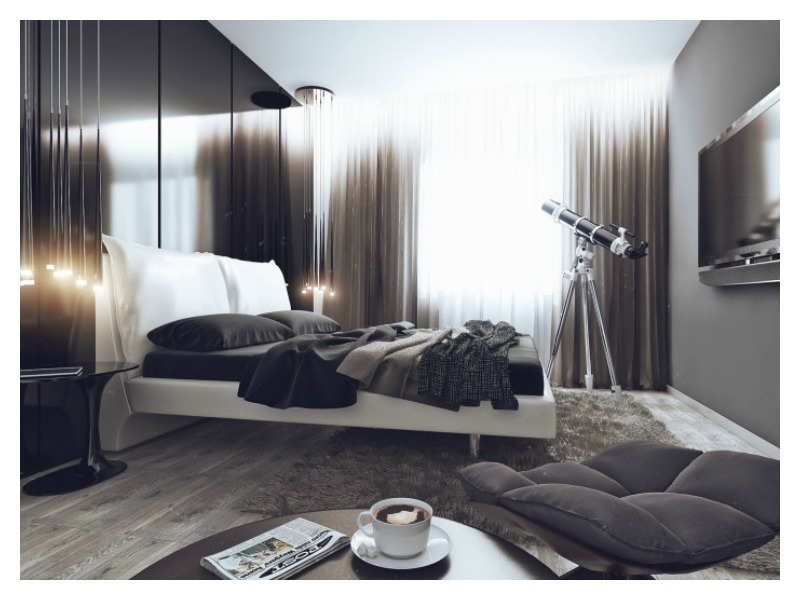 Designed by Angelina Alexeeva, this dark stylish bedroom uses a cool black base with fresh pops of grey and white. As we welcome 2016, it gives us the opportunity to look forward to fresh aspirations with a new lease of life. If you haven’t done so already, you can make some new goals today. Think big and give yourself the chance to see your vision come to reality. One goal of ours at Moody Monday is to challenge ourselves to innovate more. This will sometimes take us out of our comfort zone but we welcome this. We are eager to learn and find useful resources to help stretch our imagination. What better way to start off 2016 than with a new book list? If it’s in the world of interior design, we have just the list for you. 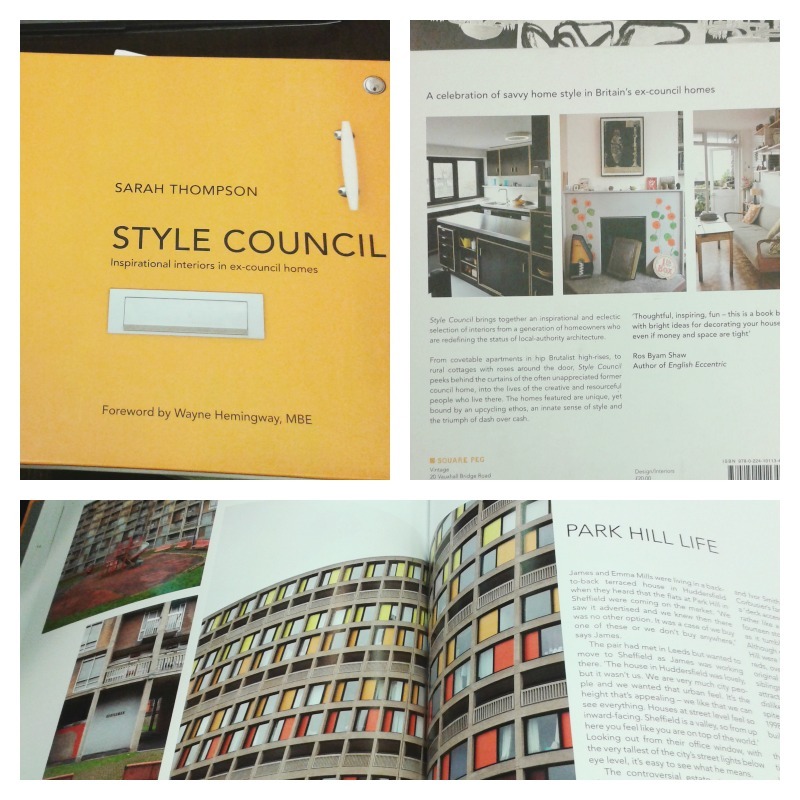 Read on for some of our favourite interior design books to open your mind up to a world of new possibilities. No doubt your home will thank you for it too. Happy reading and a happy new year! Let us know which ones become your favourite. 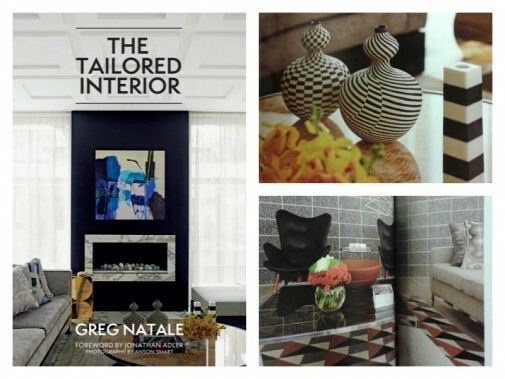 This week, we introduce you to another talented interior designer based in Indonesia. 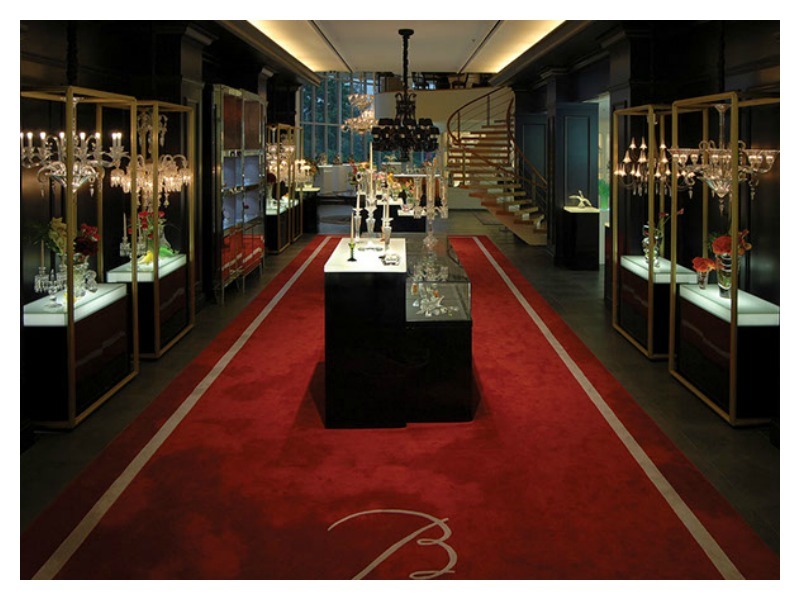 Prasetio Budhi heads up Plus Design, the interior design consulting firm which he set up over a decade ago. His style is particularly youthful, having the ability to combine luxurious elements bringing individuality and personality to beautiful high-end spaces. 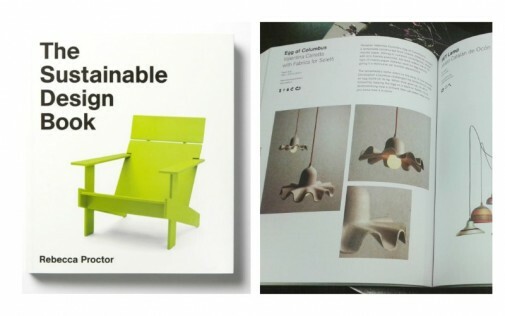 His mantra is “to bring world class design to every project”. Embracing more of a classic style in his interiors whether residential or commercial, his ability to showcase interesting design with a contemporary aesthetic is remarkable. 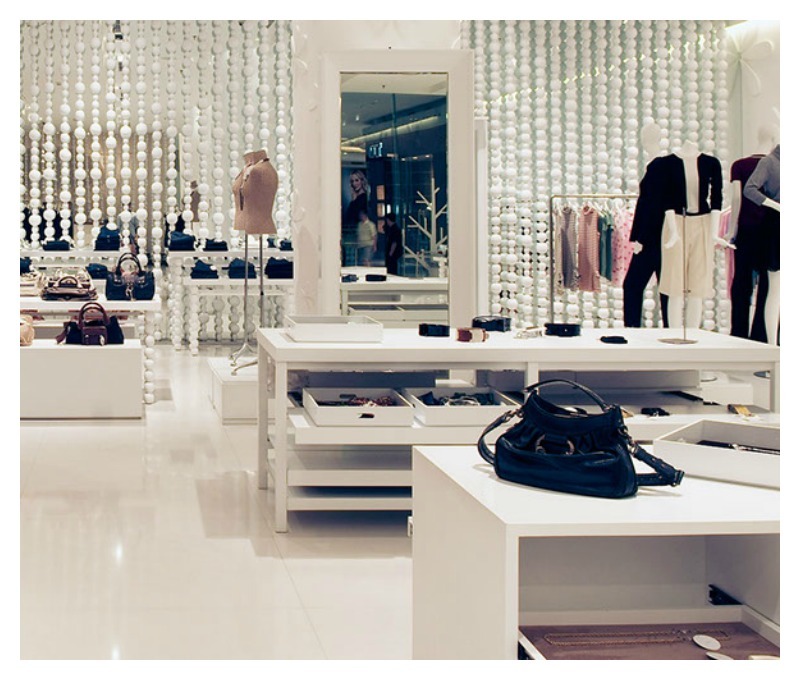 The refined look created in this commercial store displays a creative juxtaposition of dark ambiance with statement lighting. 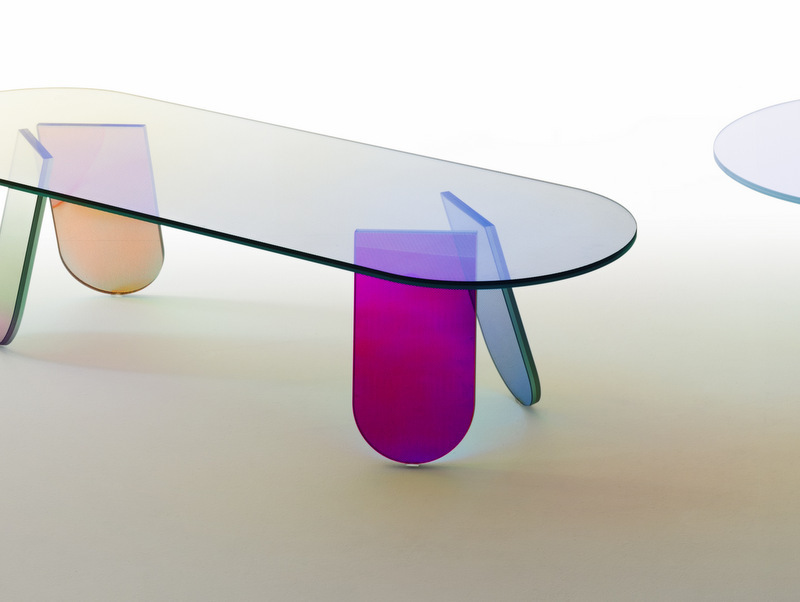 We think his work is undeniably stylish with a refreshing edge. 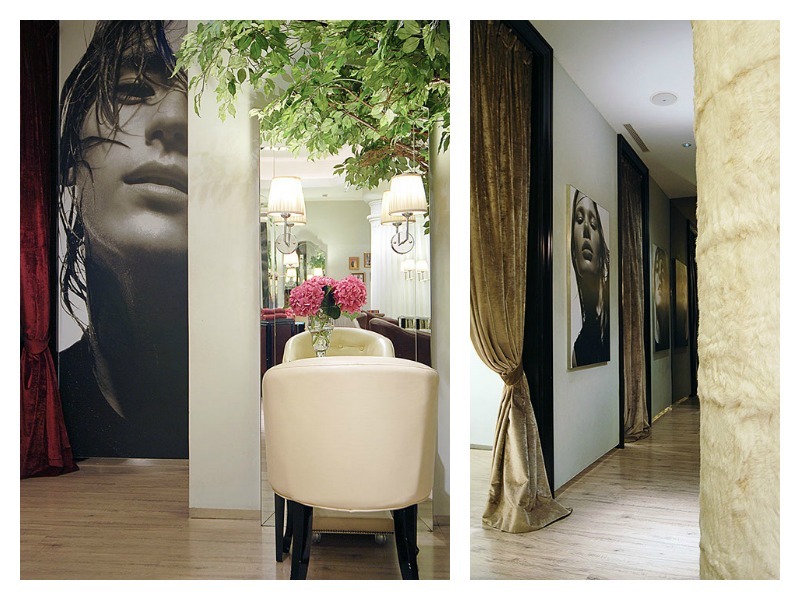 For more of his interior projects, visit www.plus-dsgn.com. If you haven’t already, also read the first blog in our series, Inspiring Designer part 1. Long days in the office, countless trips to kids’ clubs and activities, endless hours scrolling through our phones, we 21st century humans are probably the busiest lot ever in the history of time. Thankfully the majority of us have been blessed with a great asset in our homes which we tend to under-utilise – The bathroom. This precious room can take us from all that chaos, hustle and bustle right into a temporary state of calmness, renewal and rejuvenation if we care to use it well. Especially as we approach the colder months, we can enjoy more time at home and escape into a little world of serenity every now and again. 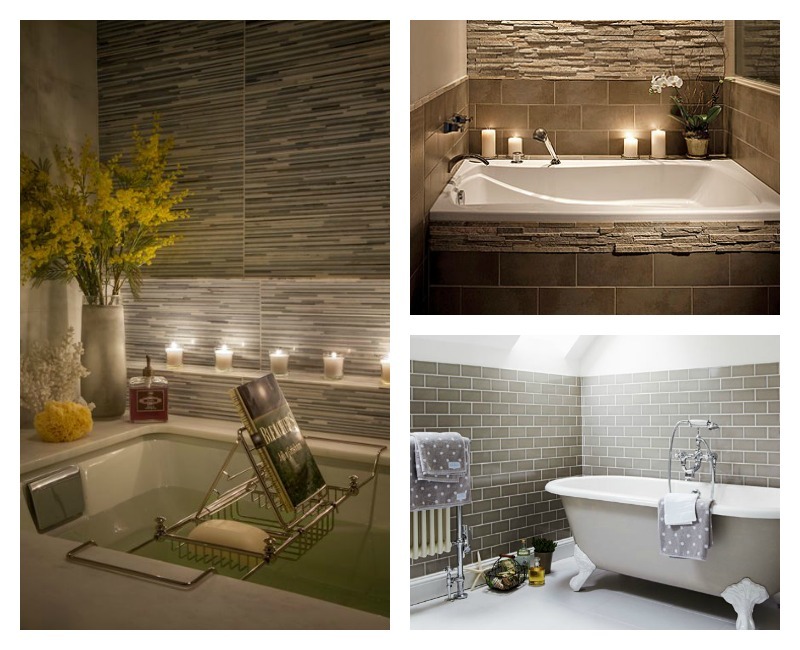 What is important in making your bathroom more relaxing is to focus on treating all of your senses to some delight. Read on for some of our tips. Soft whites, greys and earthy tones work very well to create a simple and visually appealing scheme in the bathroom. Harsh overhead lighting doesn’t do much when you’re trying to relax, use dimmable lighting to alter the ambience. White candles are also a favorite for adding a crisp, luxurious feel. The last thing you want when you enter your bathroom is to be hit with icy coolness. A towel warmer will keep that bathroom nice and toasty, ready for you even before you step into the bath tub. Good quality bath towels and bath mats are a must have. Finish off with a cosy fluffy robe to enjoy some extra hours of warmth and comfort as you lounge around the house. The set is all ready. Don’t let it be spoiled by noisy neighbours or noise-loving family members. Shut windows, doors and anything else that can keep the noise out as you settle in to relax. Get some soothing music on and escape into a world of your own. Nothing beats a nicely scented bathroom, it adds something soothing to the whole bathing experience. Essential oils, bath bombs, rose petals, you name them. Fresh flowers like roses and lavender are a perfect addition for that extra beautiful aroma. No wonder spas use this trick all the time. Except you’re not one for eating and drinking in the bathroom, a glass of wine can be just the thing to calm you down even further. You’ll soon be booking these special bath times into your diary before you know it. 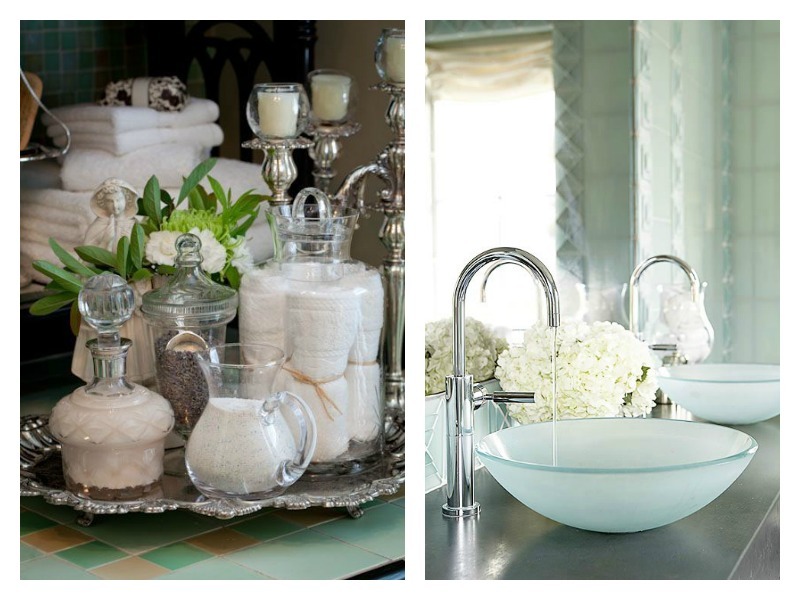 Can we tempt you to see your bathroom a little differently today? We’ve already seen that adding tactile or visual texture to wallcoverings can add a striking and luxurious look to your interior. But when it comes to using this technique, a few things are worth mentioning. 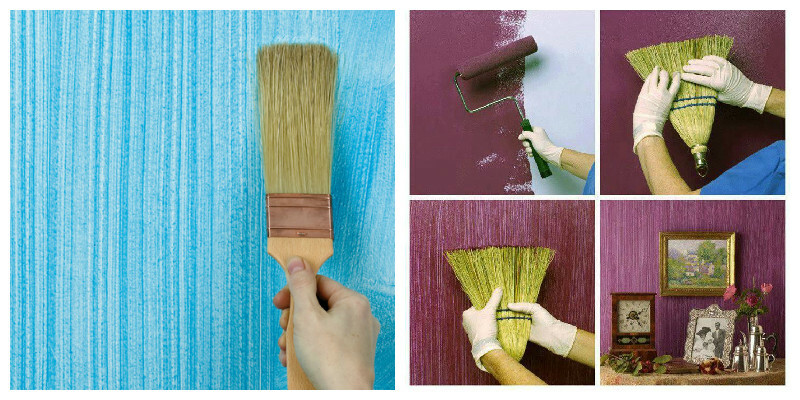 If you ask us, textured walls are an effort well rewarded: they add authenticity and personality to the room, allowing you to express your own creativity. Continuing our post from a few days ago on decorating small spaces, we’re now looking at a few more tricks and accessories that can enhance the look of small interiors. To prevent the room from looking too busy, one rule of thumb would be to have only one wall looking like this and something completely different with the other(s). 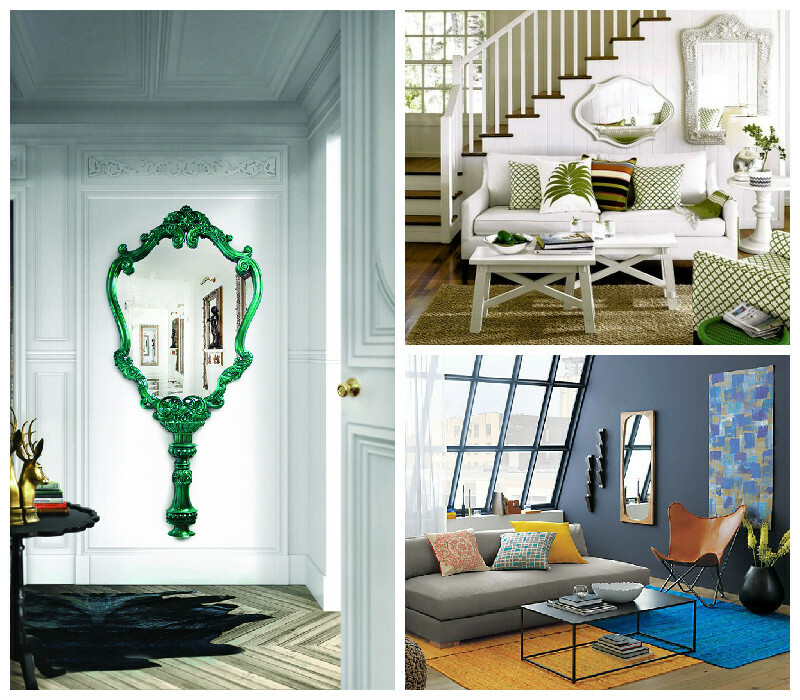 Mirrors and stylish wallcoverings are definitely good places to start!